When it comes to safety for seniors, there are many issues family members worry about. One of the most significant is their loved one getting up and down stairs. Some people worry about their aging parent driving. They know they been involved in minor accidents, such as a fender bender, and they haven’t lost their license yet. Still, they know that their senior is not safe behind the wheel. Other people are concerned about their loved one getting out of bed, exercising, or going for walks on their own. Exercise is incredibly important for most people. In fact, even doctors recommend seniors get at least 15 minutes of cardiovascular exercise every day, even following a heart attack. What types of exercises to seniors enjoy? There are a number of exercise routines and activities that can be beneficial for seniors, and also enjoyable. Swimming is a great activity because it is low impact and exceptionally beneficial for joint strength and health. Yoga can also be a valuable exercise for seniors, but it’s important to consider safety for any elderly individual looking into yoga as a potential exercise activity. Below are a few things to consider when a senior is interested in yoga. Yoga can be extremely dangerous for those with no prior experience and limited physical strength and agility. If an elderly person tries to take part in a yoga class attended by people in their 30’s and 40’s, the risk of injuries increase dramatically. 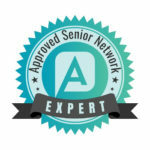 An instructor should have prior experience working with elderly clients. They should also have a class specifically dedicated to those of advanced years. 2. It should be different than yoga for younger adults. As mentioned, the types of stretches and routines that younger adults can do, even if it is an extreme struggle, is not likely going to pose too many injury risks for them. However, those same stretches and routines could be devastating to older individuals. It can lead to torn muscles, wrenched joints, and a lot of other serious potential injuries. 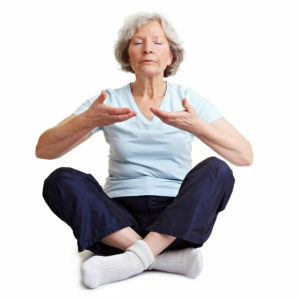 The senior should focus on yoga specifically engineered for elderly clients. Doing any exercise routine only once in a while is not beneficial. It can actually increase the risk of injury. If the senior is going to get involved in yoga or some other exercise, they should commit to a consistent schedule, whether it’s once a week, twice a week, or more frequently. Whatever they do, it should never be less than once a week. They should supplement their yoga exercise with stretching and other cardiovascular routines throughout the week.